Obituary for Kimberly Lee | Lochstampfor Funeral Home, Inc.
Kimberly Sue Lee, age 52 of Loysville was called home after a long illness on Friday, April 12, 2019 at the Geisinger Holy Spirit Hospital, Camp Hill, PA.
Born June 30, 1966 in Cumberland, Maryland she was the daughter of James and Judy (Russell) Pollock of Barton, Maryland. She was a 1984 graduate of Valley High School, Lonaconing, Maryland. On December 19, 1992 in Barton, Maryland she married her devoted and loving husband Kevin W. Lee. She had been employed as a clerk for Turkey Hill and also for PDS in Loysville. 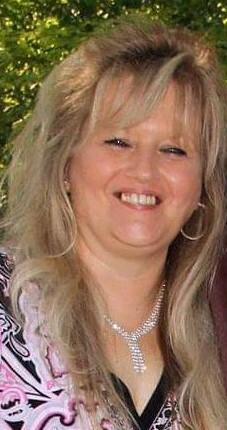 In addition to her husband and parents she is survived by three sons Brian Phillips and his wife Tracy of Duncannon; Travis Phillips and his wife Korine of New Bloomfield and Kolby Lee of Loysville; five grandchildren Rylin Phillips and Peyton Phillips of New Bloomfield; Brady Phillips and Isabel Phillips of Duncannon; Grayson Lee of Loysville and a brother James Pollock of Barton, Maryland. The family will receive friends on Thursday evening, April18, 2019 from 6 to 8 P.M. at the Nickel-Lochstampfor Family Funeral Home, Inc., 3626 Sherman’s Valley Road, Loysville, PA. Funeral Services will be held on Friday, April 19, 2019 at 11 A.M. at the funeral home with Rev. Scott Leone officiating. Interment in Restland Cemetery, Loysville, PA. The family request memorial donations be made in Kimberly memory to the Breast Cancer – C/O American Cancer Society, 112 Sipe Ave, Hummelstown, PA 17036. 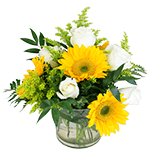 There's still time to send flowers to the Visitation at the Nickel-Lochstampfor Family Funeral Home, Inc. from 6:00 PM to 8:00 PM on April 18, 2019.